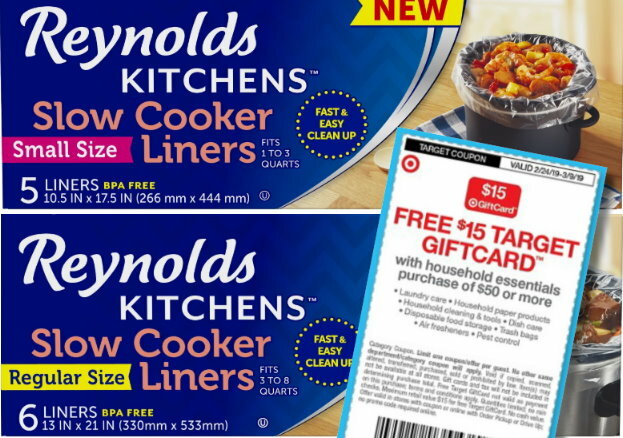 You can also get a nice deal on Reynolds Slow Cook Liners with another new high-value stack but it does expire today, 3/2. 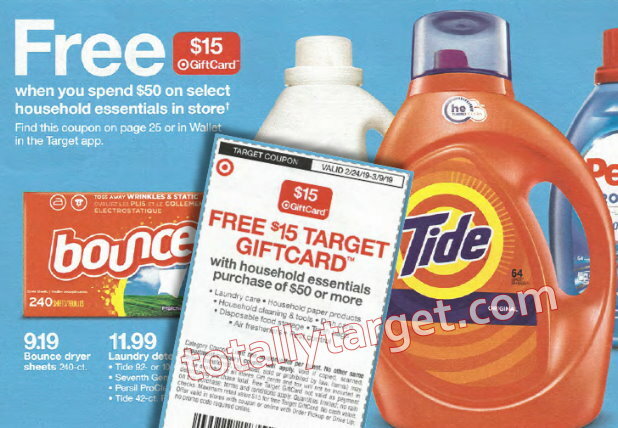 However, keep in mind your purchases will count towards the spending requirement for our in-ad Target Coupon for a FREE $15 Gift Card wyb $50+ Household Essentials that is valid all the way thru 3/9. You can mix & match how you wish to meet the spending requirement, but if you are looking for inspiration, you can also check out my post HERE. 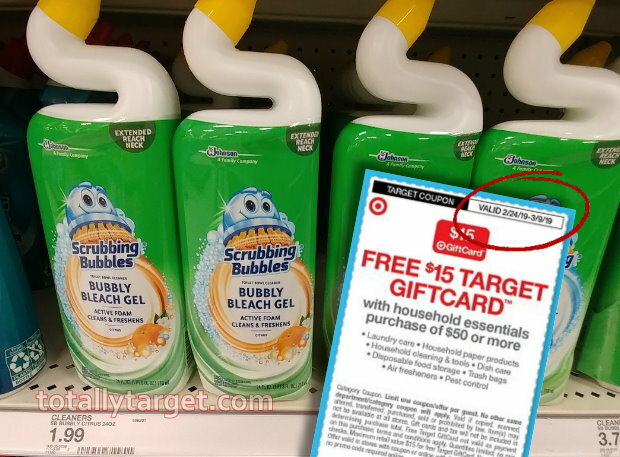 This nice little deal also makes for a great filler item towards the spending requirement for our in-ad Target coupon for a FREE $15 Gift Card wyb $50+ Household Essentials items that is valid all the way thru 3/9. This Target coupon will also appear in next week’s ad (or you will still be able to locate it in the Target app) and it is valid thru 3/9. 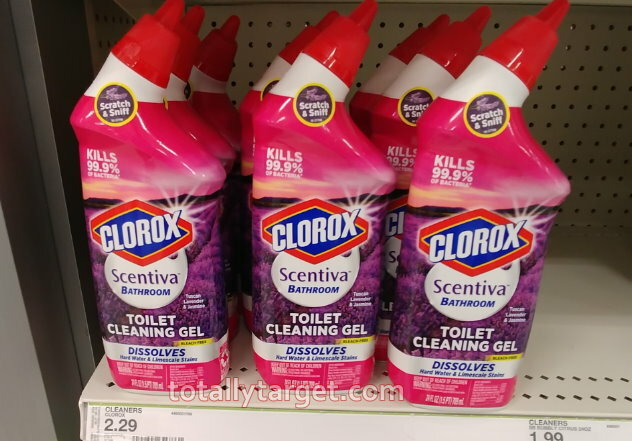 While there are tons of ways to mix and match to meet the $50 threshold, here’s one idea for you to gather up all these deals and pick up 22 Household items for .67 each…. 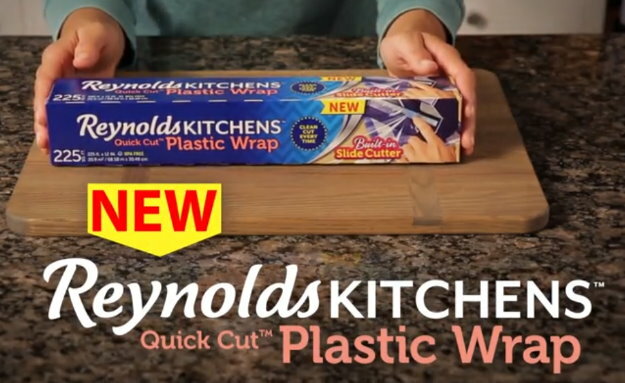 Just keep in mind if you can’t do this deal til next week, the cartwheel offer for Reynolds slow cooker liners will be expiring Saturday 3/2. However, even without the cartwheel offer it will still make for a great deal. 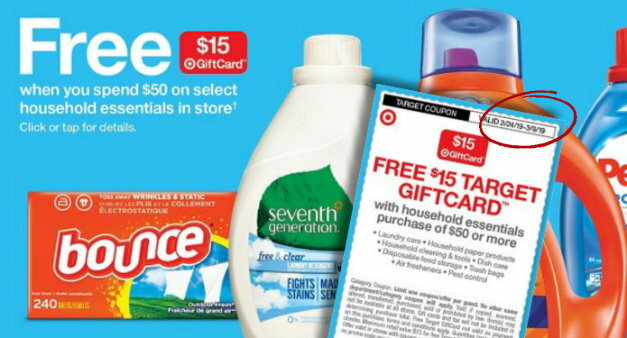 However, keep in mind your purchases will count towards the spending requirement for our in-ad Target Coupon for a FREE $15 Gift Card wyb $50+ Household Essentials valid 2/24 – 3/9. You can mix & match how you wish, but you can check out my Best Deals of the Week post for some ideas to get you thinking. 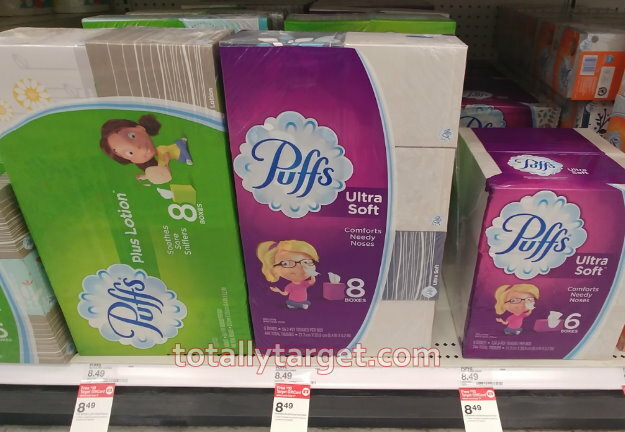 There’s a new Target Cartwheel offer available to save on Puffs tissues. 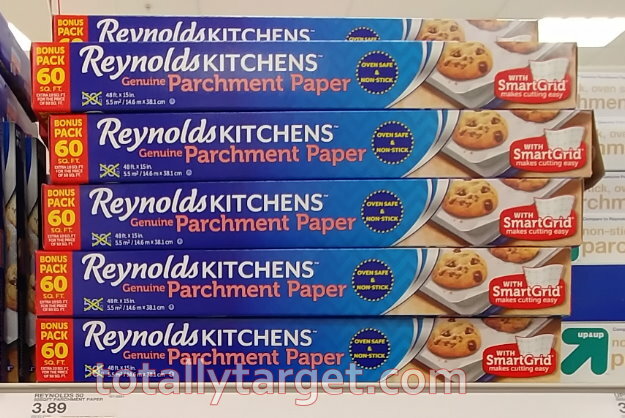 While the amount is small, we also have a manufacturer’s coupon on cartwheel plus a gift card offer this week thru 2/16 to make for a nice price per box…. Keep in mind there are lots of other household products included in the gift card offer, and you can mix & match how you wish as long as you buy 3. 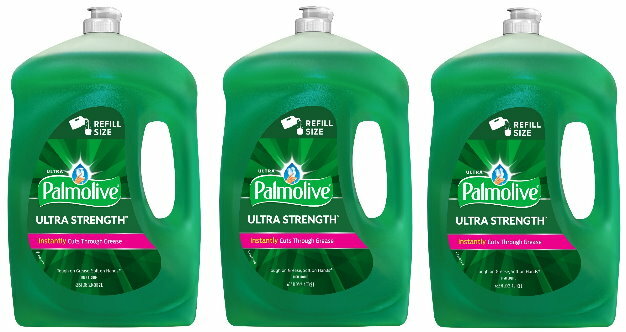 Right now you can head to the Palmolive site & print a coupon to save .25 off one Palmolive Ultra Dish Liquid 18 oz or larger. 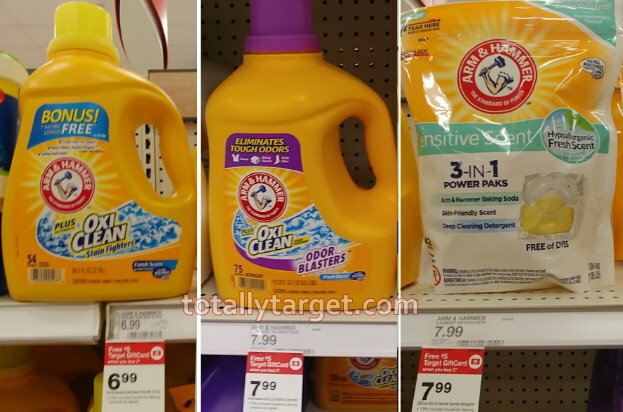 Even better, this week thru 2/9, Target is offering up a FREE $5 Gift Card wyb 2 select household items. 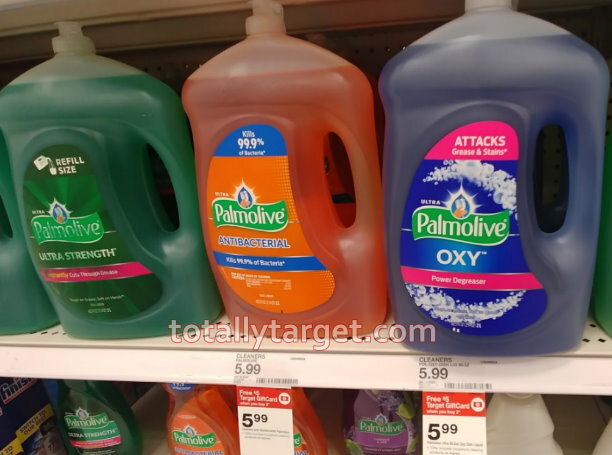 Watch for the big 68.5 oz bottles of Palmolive dish liquid to be included at $5.99 to make for a nice price on these BIG bottles…. If you are maxed on your prints and don’t have any coupons, it’s still a nice price at $3.49 each after gift card. Plus this deal is also available online when you choose FREE store pick-up. 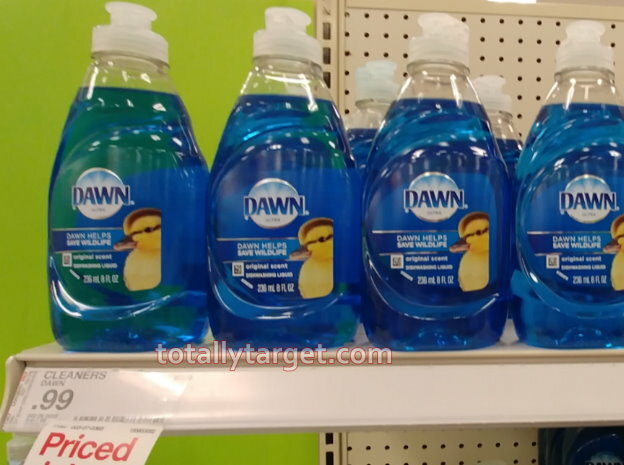 And if you don’t want to buy that much dish soap, there are also lots of other products included in the gift card offer that you can mix & match with as well. You can check out my Best Deals of the Week Post for more deal ideas. 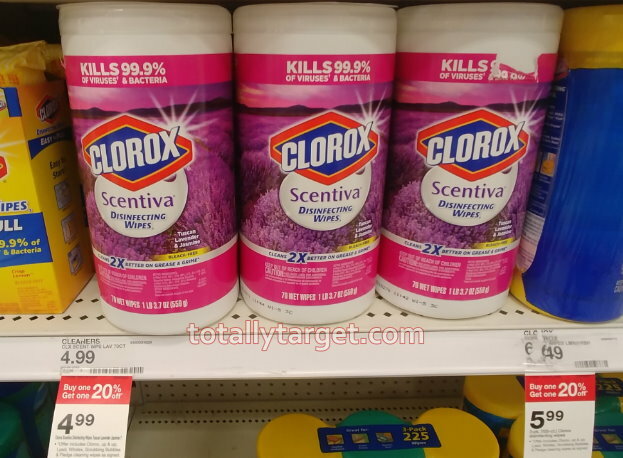 –$1.50 off any TWO (2) Clorox Scentiva Products. Any scent.. 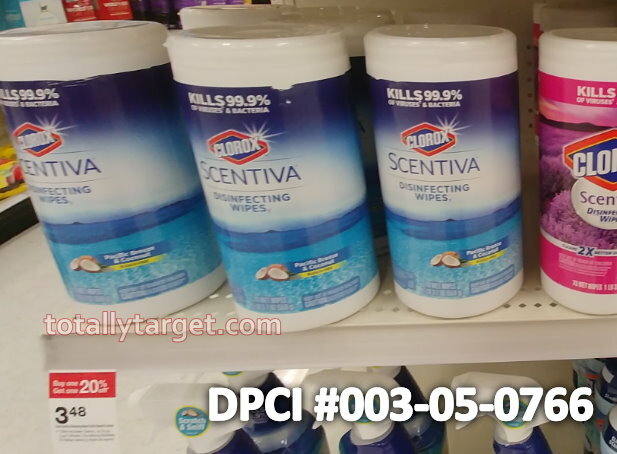 If you want to check before you shop, you can take a look on Brickseek to see if your store has the lower price on the wipes by inputting your zip code HERE. Just keep in mind that Brickseek is not always accurate. 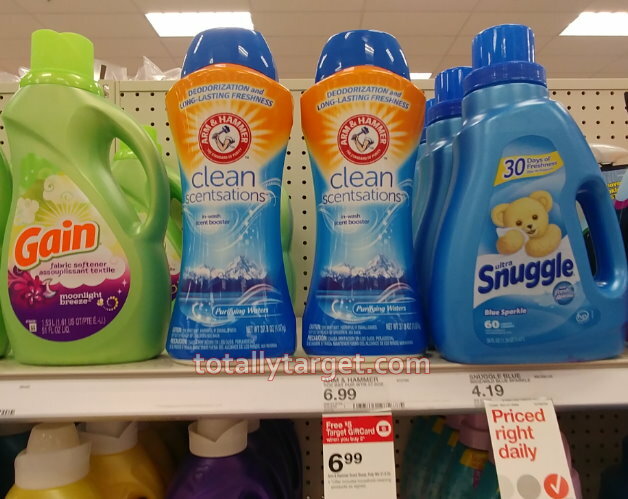 There are three new printable coupons available to save on Arm & Hammer laundry Products…. Even better, Arm & Hammer laundry products are included in this week’s offer for a FREE $5 Gift Card wyb 2 select household products thru 2/9. The scent boosters are priced at $6.99 to make for a nice deal…. 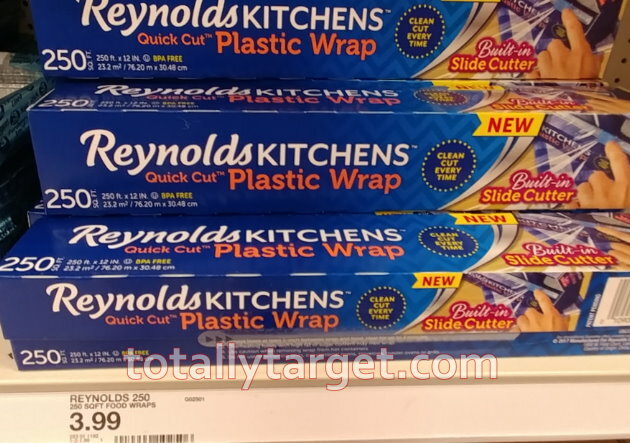 You can also save up to 50% on Reynolds Wrap Foil and slow cooker liners with stacks, and you can check out my post HERE for more details.